Mary Agnes Turner, 91, of Brodhead, passed away peacefully on October 22, 2018 at Mercy Hospital in Janesville. Mary was born August 6th, 1927 in Racine, Wisconsin. She was the daughter of Geneva (LeFebvre) and Ervin Lovell. 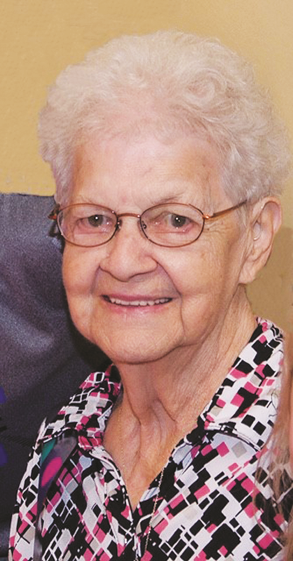 She married Kenneth Turner on December 31, 1947 in Rockford, Ill. As a couple, they enjoyed many years of spending time with family and friends, both in Brodhead and at their home in northern Wisconsin. She was an avid sports fan and never missed a Green Bay Packer game. She is survived by a daughter, Judith (Dwayne) Cushman, and two sons, Thomas and James (Kelli) Turner. She will be dearly missed by her beloved grandchildren: Rebecca (Craig) Haroldson, William (Kelli) Neumann, Tara (Mike) Laschiava, Erin (Brandon) Turner, Morgan (Anthony) Turner, Danielle (Antonio Morris) Turner, Derek Turner, and two great-granddaughters, Natalie Smith and Avionna Morris. Mary is preceded in death by her parents, her husband Ken, and three sons in infancy (Thomas Nathan and twins Ronald Dean and Donald Gene). 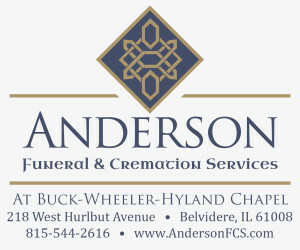 Funeral Services were held on Thursday, October 25, 2018, at the D.L. Newcomer Funeral Home, Brodhead, WI.